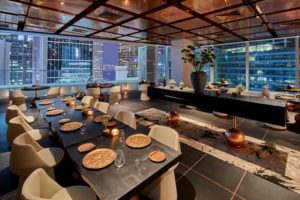 <<17th January 2019 – Hong Kong>> Le Comptoir Group’s recently awarded 2-Michelin-starred ÉCRITURE, along with award-winning contemporary French restaurant BIBO, will celebrate Valentine’s Day with exclusive set dinner menus on the special evening. From Chef Maxime Gilbert’s romantic ode to French cuisine using premium Japanese ingredients at Écriture, to five courses of Chef Nicholas Chew’s tantalising French culinary art at Bibo, guests are spoilt for choice this Valentine’s Day. 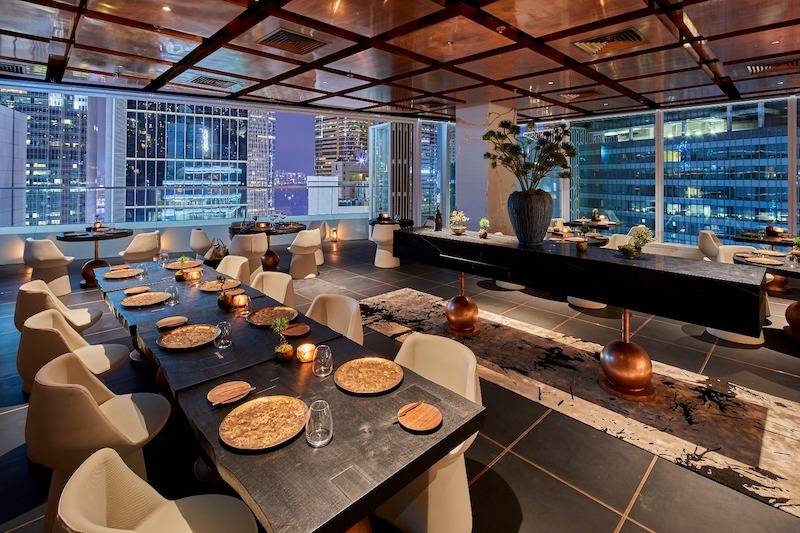 Located within the cultural destination H Queen’s, Écriture aims to emulate Korean artist Park Seo-Bo’s bold expressionist style from the food to the striking interior design – treating diners to spectacular views of the Hong Kong skyline coupled with exquisite modern French cuisine. This Valentine’s Day, Chef Maxime has prepared an 8-course set menu featuring the season’s most luxurious delicacies, including Caviar and Uni Tart, A4 Miyazaki Wagyu Beef, Kinmedai fish, the much prized Otani San Amaou Strawberry and more. The menu is priced at HK2,888+10% per guest, and includes a toasting glass each of champagne Perrier Jouet Belle Epoque 2006 Rosé. 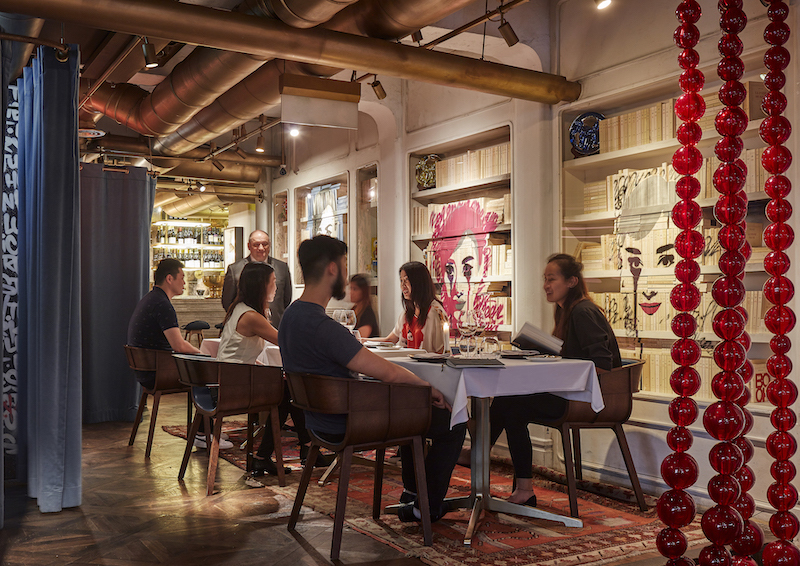 A fine dining mecca for gourmets and art-lovers alike, Bibo has paved the way for combining boundary-pushing cuisine with signature pieces by today’s most accomplished contemporary artists. Chef Nicholas Chew deftly fuses his visual arts background from his previous career as an interior designer with a breadth of culinary experience that spans years of training in Japan’s kaiseki restaurants in Melbourne, to working under French luminaries such as Michel del Burgo of L’Atelier de Joël Robuchon and Le Clarence’s Christophe Pelé. This Valentine’s Day, Chef Nicholas harnesses his four signature pillars of simplicity, agility, precision and composure to design a special menu that perfectly marries French flair with Japanese exactitude. 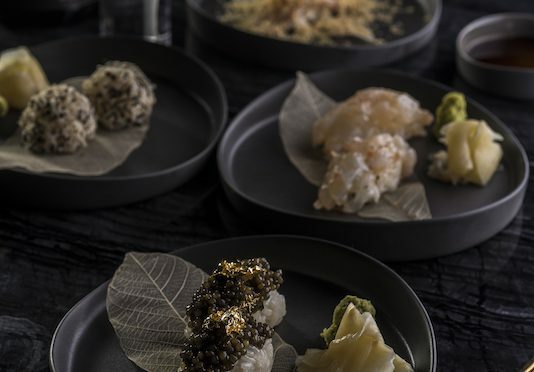 Priced at HK$1,288+10% per person, the 5-course menu spans elegant seasonal creations such as the OYSTER FRIT with tomato, brioche and raspberry, CELERIAC with squid ink and lardo, WAGYU MAYURA and CACAO ‘TRIO’ with Japanese strawberries for a delectable sweet ending. Located on the penthouse floor of Hong Kong’s new cultural hotspot H Queen’s, Hong Kong hospitality group Le Comptoir presents ÉCRITURE, a space in which French cuisine is elevated to new heights by uniting it with exceptional Japanese produce to explore the endless possibilities that occur when Western craftsmanship meets Eastern philosophies. The East and the West have long held a mutual fascination and respect for one another, and at ÉCRITURE this comes together not only on the plate, but also in the effortlessly understated interiors. The restaurant takes its name from a series of paintings by Korean artist Park Seo-Bo – a work from which hangs in the private dining room, injecting a bold splash of red into a design scheme that celebrates the untold harmony found in contrasts and oppositions. As the first restaurant in Hong Kong to be named a member of the prestigious Relais & Châteaux group of properties, Bibo’s mandate is to push the envelope of haute cuisine in a stimulating environment that can be found nowhere else in the city, if not the world, thanks to its utterly unique art-filled interiors. 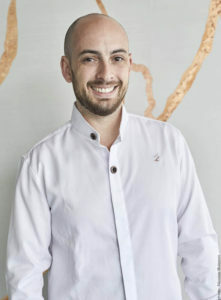 Executive Chef Nicholas Chew brings Michelin-starred experience from his time leading the team at Serge et le Phoque, which became world-renowned for its exceptional take on classic French cuisine. 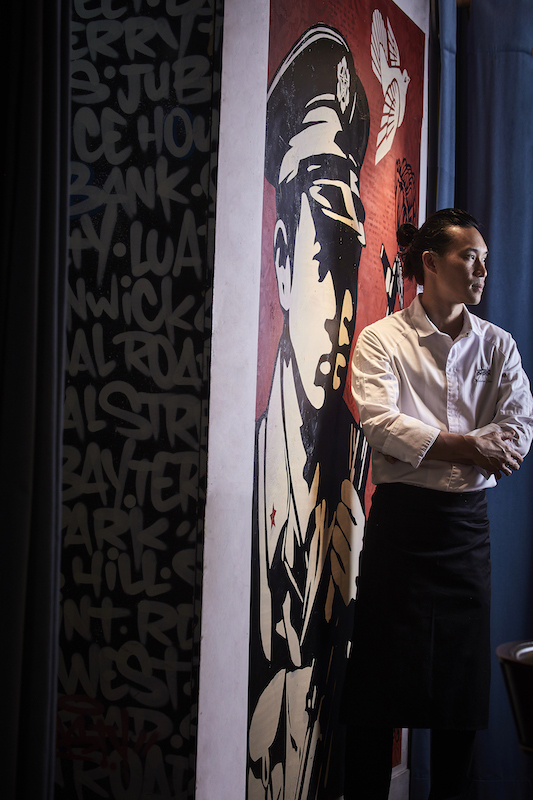 At Bibo, his interpretation of fine dining is very much influenced by a culturally varied background, which spans Japanese kaiseki, French haute cuisine and his own Peranakan heritage. 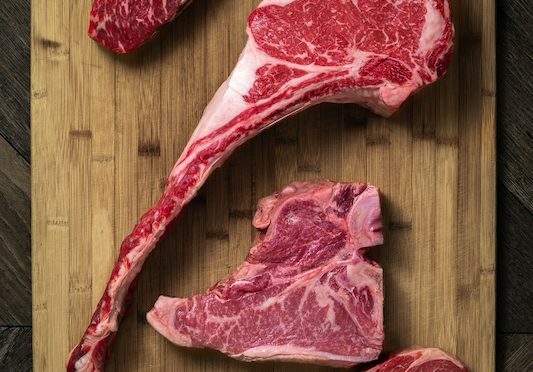 These influences have been distilled into innovative, art-inspired dishes that attain epicurean perfection under Chef Nicholas’s guiding principles of simplicity, agility, precision and composure. Bibo’s wine bar boasts Hong Kong’s most complete collection of wines by the glass – numbering at over 140 different varieties, all designed to bring out the subtle nuances of flavour in Chef Nicholas’s cuisine. 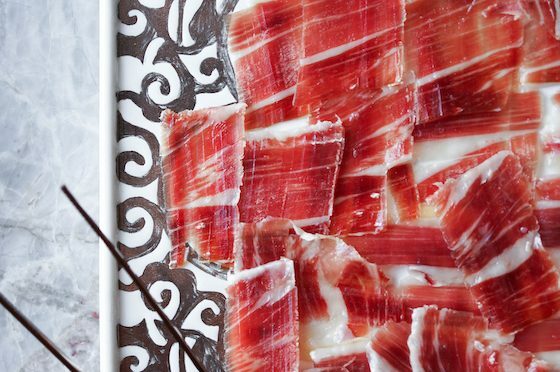 Le Comptoir is an award-winning restaurant group founded in early 2013 with the goal of redefining what a fine dining experience can be. The name takes inspiration from the vibrant, convivial bar counter found in most French bistros and brasseries, where friends meet up to enjoy the good life. True to its motto ‘fine dining redefined’, Le Comptoir has disrupted the Hong Kong hospitality scene with an uncompromising vision of creating compelling concepts that unite world class-cuisine, unparalleled art-centric interiors and faultless service. The dedication to fine hospitality runs true in every Le Comptoir property, from the acclaimed modern French restaurant BIBO, a Relais & Châteaux member, to spectacular Michelin starred Breton cuisine at The Ocean, to the minimalistic yet elegant Écriture – newly awarded with two Michelin stars in December 2018.